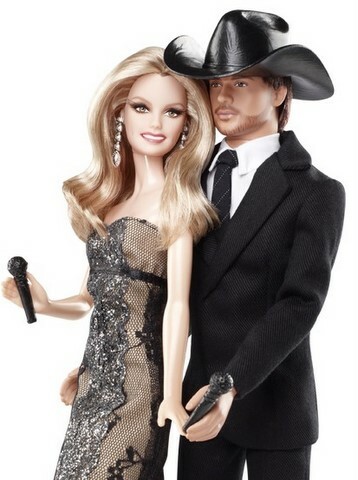 Country music superstars Faith Hill and Tim McGraw will soon be immortalized in a new set of Barbie dolls. According to designer Linda Kyaw, the couple were quite involved in the design process. She added, "Tim and Faith sent us photos of every detail. The couple knew exactly what they wanted to see in doll form, and they helped us achieve the best possible results." Faith Hill and Tim McGraw joins the rank of celebrities with action figure like Farrah Fawcett, Rachel Zoe and the cast of Twilight. Faith Hill and Tim McGraw's dolls will be available on September via the Barbie Collector site. The duo dolls will retail at $69.95.